Can you think of anything more romantic than a photoshoot in Paris?? Whether you're newly in love, newly engaged, or married for 10 years, there is nothing better to commemorate your love and adventures together than gorgeous professional photos, let alone in one of the most beautiful cities in the world. Here are some great places to start as you plan your Pinterest-worthy portrait shoot. Jardin de Tuileries - nothing beats the stunning rows of trees, quiet outdoor cafes, or architectural backdrops for your romantic photo shoot in Paris! Palais Royale has loads of luminous photo spots. The white marble and columns are great for that perfect lighting, and it usually isn't too crowded! 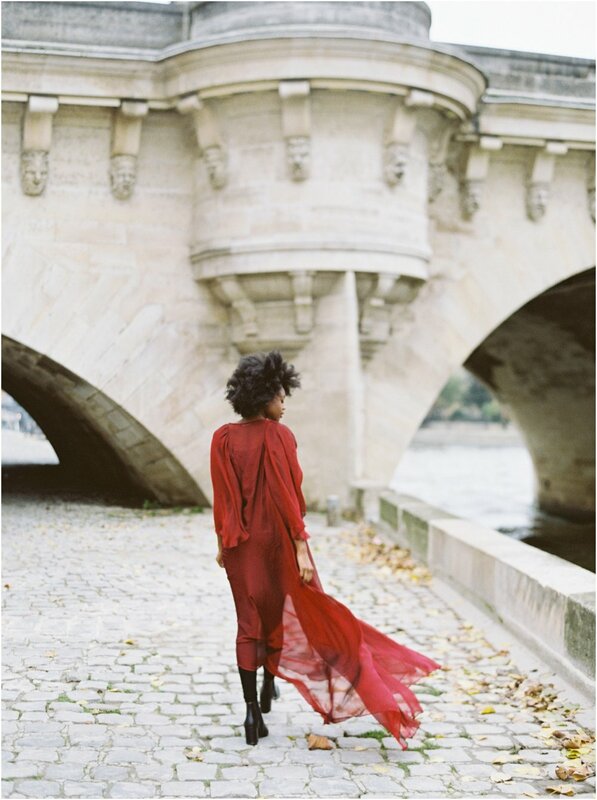 Embrace classic elegance with this iconic shot along the Seine. There are tons of gorgeous spots, but some of my favorite places to find these walks are near Notre Dam or by the Musee d'Orsay. Trocadero will always be a favorite photo spot for photographers and tourists alike. To get the best shots (without crowds) consider going for sunrise. You'll be surprised how many beautiful streets you'll find in Paris, and they make for perfect backdrops. Many of the streets long the Seine in the 16th district are incredibly picturesque, especially in the fall. Get lost exploring and enjoy your time in Paris!